Have you heard the term dry socket. It’s a dental issue that one has to face after getting their tooth pulled out. Seriously, it’s not an enjoyable experience and you have to also face discomfort afterwards. Usually the pain is not so intense and goes in a few days. 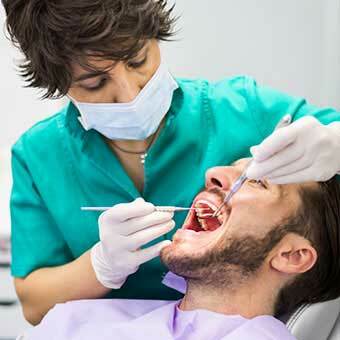 But in case it is intense, you need some treatment and the condition is termed as dry socket. Dry socket may be defined as a painful dental issue that troubles after the removal of tooth in adults. It’s a complication of tooth extraction. Usually it follows wisdom tooth extraction. 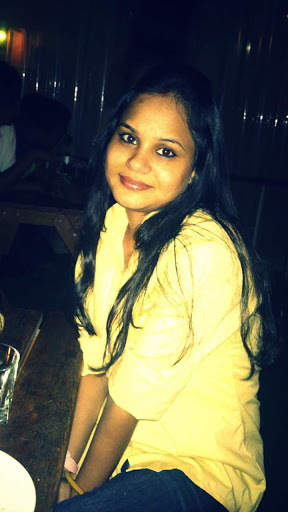 Medically this condition is termed as alveolar osteitis. 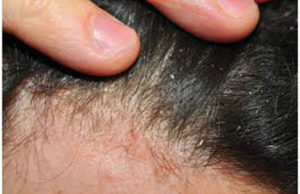 Dry happens when the formation of the blood clot that is a normal healing process fails. It may also be a result of a dislodged blood clot. Dry socket usually causes throbbing and aching pain in the jaw or gum. You will find a dry socket at the site from where the tooth is removed. In general you should find a blood clot at the site from where the tooth is removed, but in the case of dry socket bone is exposed and there is no blood clot. 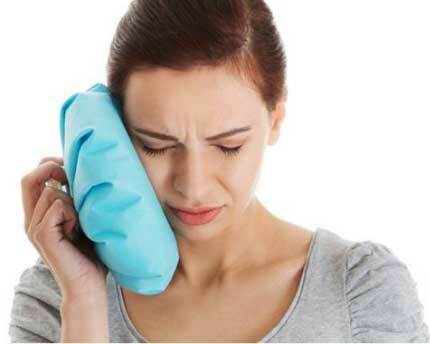 Usually the pain starts after 2 days of tooth extraction, gets intense with the time and radiates to the ears. Other symptoms that accompany are unpleasant smell, bad breadth and bad taste in mouth. 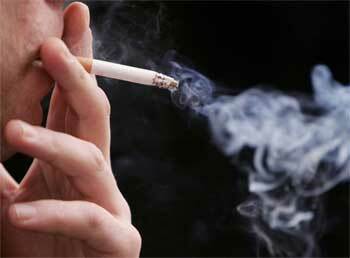 Dry socket usually affects individuals who smoke, individuals who do not care for oral hygiene, who have a wisdom tooth removed, women who take contraceptives, trauma, history of dry socket. If you rinse your mouth a lot or drink through a straw after tooth extraction even these two factors increase the risk of dry socket. To relieve your symptoms, your dentist will give you painkillers. Debris is removed from the hole and the socket is filled with a special paste to fasten healing process. Every day dressing is needed for a few days until the healing happens and you get rid of the pain. Also antibiotics are prescribed. 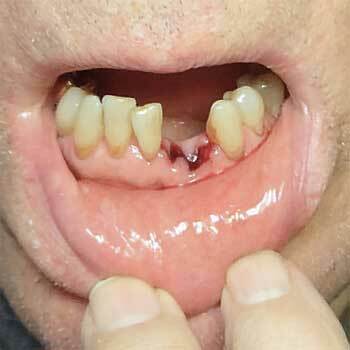 In a few weeks dental socket heals and then there is a dental implant. The best way to get rid of the pain caused due to dry socket is cold compress. It creates numbness and this reduces the pain. Take a few pieces of ice and wrap it in a piece of cloth. Hold it on the affected part for 15 minutes. If you do not have ice cubes, then wet a towel with chilled water, strain it and repeat the same. Repeat this a few times in a day for 2-3 days. Apple cider vinegar maintains the pH level of the mouth. It eliminates the harmful bacteria and reduces the chances of infection. 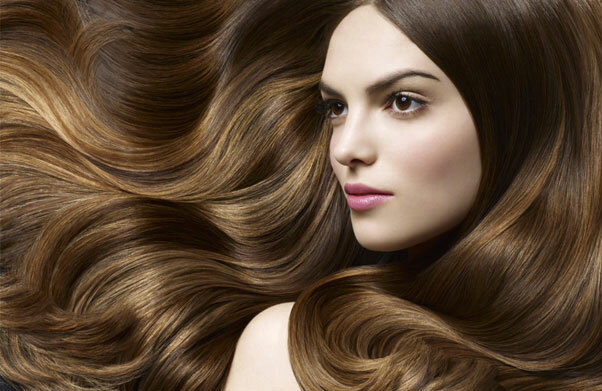 Also, due to the anti-inflammatory properties it reduces the pain, discomfort and swelling. This heals dry socket forever. 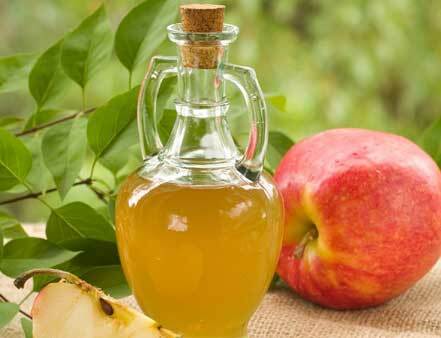 Mix apple cider vinegar and water in equal ratio and rinse your mouth with it. Repeat this a few times in a day until healing occurs. 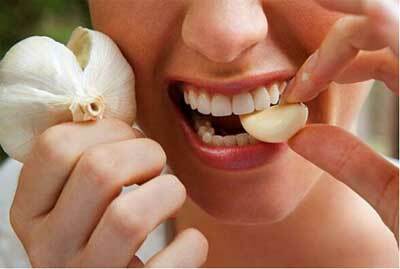 Garlic is one of the potential medicine for dry socket. It has antiseptic, anti-inflammatory and antibacterial. The natural antibiotic property of garlic removes the risk of infection and relieves pain and swelling. Crush a clove of garlic and extract its juice. Apply it to the affected area and leave it for a few minutes. Then rinse your mouth with water. 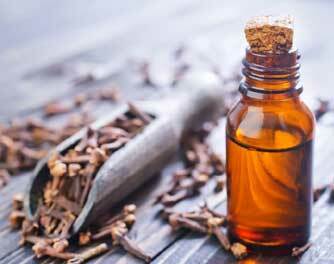 Clove oil has a numbing effect. It is a natural analgesic and anesthetic and can soothe pain. 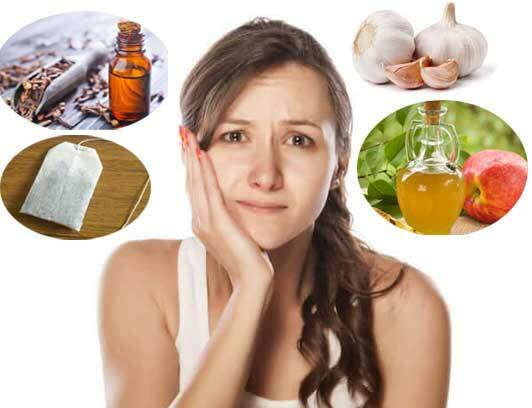 Put a drop of clove oil on a cotton ball and thrust it at the site of the wisdom tooth. Remove it after a few minutes. Repeat this 2 times in a day. Green tea contains tannic acid. It acts as a natural antibiotic. It is very effective in reducing pain and swelling. 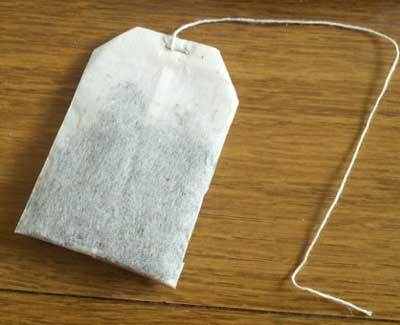 Steep a tea bag in hot water for a 10 minutes and then keep the tea bag in refrigerator. After 30 minutes, remove it from the freezer and put it over a dry socket for 15 minutes. Continue this for a few days.